Here are the December picks for News stations from Julianne Welby of the Public Radio News Directors Incorporated (PRNDI). I believe these landmark commentaries deserve more than one broadcast on NPR affiliates, and if you're not already carrying the ones that aired on NPR, start with convicted murderer Troy Chapman. His story about caring for a stray cat makes a better case for prison reform than anything you'd hear from an "expert." For stations that struggle to find insightful essayists, or keep freshness in their current stable of commentators, This I Believe is a finely curated solution. It's real people, genuine writing and thought-provoking material that will inspire your audience. Length varies but most are under 4 minutes - and all are free. HOST: Our This I Believe essay today was sent to us by an inmate at Kinross Correctional Facility on Michigan's Upper Peninsula. Troy Chapman is serving a sentence of 60-90 years for second-degree murder. So far, he has served just under 24 of those years. Chapman does not deny that he killed a man in a bar fight when he was 20-years old. His belief is centered on what he has learned since then. No recording equipment is allowed in the prison, so here is Troy Chapman, recorded by telephone, with his essay for This I Believe. CHAPMAN: When the scruffy orange cat showed up in the prison yard, I was one of the first to go out there and pet it. I hadn't touched a cat or a dog in over 20 years. I spent at least 20 minutes crouched down by the dumpster behind the kitchen as the cat rolled around and luxuriated beneath my attention. What he was expressing outwardly I was feeling inwardly. It was an amazing bit of grace to feel him under my hand and know that I was enriching the life of another creature with something as simple as my care. I believe that caring for something or someone in need is what makes us human. Over the next few days I watched other prisoners responding to the cat. Every yard period, a group of prisoners gathered there. They stood around talking and taking turns petting the cat. These were guys you wouldn't usually find talking to each other. Several times I saw an officer in the group-not chasing people away, but just watching and seeming to enjoy it along with the prisoners. Bowls of milk and water appeared, along with bread, wisely placed under the edge of the dumpster to keep the seagulls from getting it. The cat was obviously a stray and in pretty bad shape. One prisoner brought out his small, blunt-tipped scissors, and trimmed burrs and matted fur from its coat. People said, "That cat came to the right place. He's getting treated like a king." This was true. But as I watched, I was also thinking about what the cat was doing for us. There's a lot of talk about what's wrong with prisons in America. We need more programs; we need more psychologists or treatment of various kinds. Some even talk about making prisons more kind, but I think what we really need is a chance to practice kindness ourselves. Not receive it, but give it. After more than two decades here, I know that kindness is not a value that's encouraged. It's often seen as weakness. Instead the culture encourages keeping your head down, minding your own business and never letting yourself be vulnerable. For a few days a raggedy cat disrupted this code of prison culture. They've taken him away now, hopefully to a decent home-but it did my heart good to see the effect he had on me and the men here. He didn't have a Ph.D., he wasn't a criminologist or a psychologist, but by simply saying, "I need some help here," he did something important for us. He needed us-and we need to be needed. I believe we all do. I also believe that a genuinely curious person makes the best radio commentator, and that's what you get in Mr. Hammack's essays. He brings the mind of an engineer to topics like Jefferson and Science. July 4th is obviously a good time to broadcast this reflection on scientific language in our nation's founding document, but so is Inauguration Day on January 20, 2009. Slinky is more history lesson than commentary. As Mr. Hammock explains why it makes sense for each toy coil to walk into its own box at the factory, he sounds more like a quirky Ivy League uncle than a grade school teacher, and you want to hear more. Your listeners will enjoy these 3+ minutes on their way to buying expensive high tech toys for the kids, and maybe change their minds. In 1943, Richard James, a naval engineer, was developing a spring that could keep sensitive instruments aboard warships steady in rough seas. Accidentally, he knocked one of his test springs off a shelf. It crawled, coil by coil, to a lower shelf, then onto a pile of books and finally came to rest on a table. For two years Richard James worked to find the proper length and tension so it could walk perfectly down stairs. His wife, Betty, helped name this new spring. Flipping through the directory, she came across a word that meant "stealthy, sleek, and sinuous." That was, of course, "slinky." By 1946, James had his Slinky ready to sell. On a Snowy day, he set off for the Gimbels department store in Philadelphia to sell them. Within ninety minutes they'd sold 400 Slinkys. For the next fifteen years, Slinky continued to sell well. But Betty James saw little of the profit. Richard had, in her words, joined a "religious cult" and was giving them all the profits. By 1960 he left his wife and family to join this group in Bolivia, never to return to see his family again. Betty took over the Slinky company, now nearly bankrupt, and turned it into a multimillion dollar enterprise. In "How Much Water Do We Use?" we get the playful side of Mr. Hammock who makes full use of his radio toys. He begins by narrating with a morning whisper, then records his wife's morning routine to illustrate the thousands of gallons of water behind our habits, and how much of it comes from abroad. There are many pieces about water use on PRX, but this one under 4 minutes is one of my favorites. 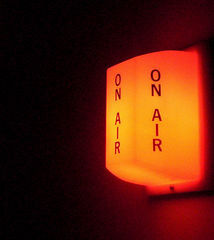 It uses sound and real life radio moments to deliver information your listeners can act upon. Commentator Bill Hammack follows his wife, Amy, through her morning routine to show how an average American uses 1800 gallons of water a day. This includes not only water used for domestic uses (toilets, cooking, hygiene), but also water used in manufacturing. Since most of the items in our houses are imported from around the globe, this means that we tap into water supplies around the world, especially China. It's worth carving out a 30-minute air slot for "The Ice Hotel," a perfect subject for Mr. Hammack's scientific curiosity and radio equipment. He brings both with him, his wife and two friends on an adventurous journey to a perishable and very chilly Swedish hotel. Along the way, we get the science behind the structure, high-tech clothes, and body temperature - and a trip to the hotel bar. Very well done! Engineer Bill Hammack tells the story of his stay in an Ice Hotel in the arctic circle of Sweden. He explains why he went to the Ice Hotel, what it's like to sleep there, and he interviews the architect of the hotel to see why anyone would build such a thing. Here's a nicely executed vox pop montage that feels a lot shorter than 6 minutes. Producer Ross Chambless collects a range of voices finishing the title. I could hear this done using many different lenses: War is... The President is... Christmas is... It's a simple, open-ended way to use radio to demonstrate our diversity. Hurry! Complete this sentence: "My body is..." That's the question I posed to people randomly for this piece, which was originally produced for a unique "sound wall" at The Leonardo, Salt Lake City's new science, culture, and art museum. The museum was promoting public responses to the touring BODY WORLDS 3 exhibition. While the first recording involved only museum staff, "part 2" is a collection of voices found around Salt Lake City. This multilingual piece presents an array of self-definitions, ranging from thoughtful and poetic, to just weird. Stay tuned for "part 3." PRX has many pieces about environmentalism. Instead of giving tips or worse -- a contrived dramatization of a "going green" moment -- I prefer pieces that tell stories and demonstrate the point with voice and sound. Reporter/producer Sandra Sleight-Brennan does just that in a focused feature about creating a greener Christmas. We hear from the landfill guy who sees a seasonal spike in garbage, a shopper who buys gifts locally, and others who try to avoid giving material gifts altogether. Your listeners will get the message and enjoy the radio art without feeling like they've just heard a lecture...or an after-school special The piece runs 5:45 with a harp rendition of White Christmas on the tail. This annual celebration is also one that asks a lot of the environment. From Christmas trees, to lights, to wrapping paper, to gifts - it's an environmentally costly endeavor. This show looks at how some consumers have changed their habits and traditions to create a greener Christmas.